Well this sure is "Too Bad." Look at this graph. It definitely makes us laugh. Data visualization blog Seatsmart has found that Hanna, Alta. 's own Nickelback are responsible for the smartest lyrics in rock music, putting them above acts such as Linkin Park and the Foo Fighters. Are smarter than ones like these. - From Foo Fighters' "Learn to Fly"
OK, bear with us now. Seatsmart analyst Andrew Powell-Morse isn't necessarily saying that Nickelback's lyrics are objectively smarter than any other rock band's. His finding came as part of a study that looked at whether pop music lyrics as a whole had become dumber over the course of a decade. And they have. Powell-Moore arrived at his conclusions using "Readability Score," a metric that uses tools such as the Flesch-Kincaid grade index to determine a text's average U.S. reading level. He looked at 225 songs that had spent more than three weeks on the Billboard charts for genres such as rock, country, pop and R&B/hip hop. Powell-Moore's analysis took account of song lyrics and word count, but did not examine a track's meaning or metaphor — you know, two things that really make a song great. With all this in mind, Nickelback's lyrics came out with an average grade level of 3.3, beating Linkin Park (3.2), Seether (2.78) and, yes, the Foo Fighters (2.62). Powell-Moore found that word length played a role in a lyric's intelligence. In this sense, country came out as the smartest genre with an average reading level of 3.3, followed by pop and rock (both 2.9) and R&B/hip hop (2.6). The reason for this was that country songs don't usually have words such as "'oh' or 'yeah' repeated 20 times in a row," he wrote. He concluded that songs with words such as "hillbilly," "tacklebox," "cigarettes" and "Cincinnati" gave the genre a leg up on its counterparts. R&B/hip hop and pop singers, meanwhile, often vocalize about places such as New York or L.A., and have titles such as "Buy U a Drank." So clearly there was a relationship there. Few, for example, could accuse Kanye West of writing songs that lack substance. But he ranked fifth out of the top seven R&B/hip hop artists from the last ten years, behind Eminem, Nicki Minaj, Macklemore and Drake (Beyonce was seventh). We just don't buy that Queen Bey belongs anywhere but first place. Powell-Moore's analysis is right about one thing, however. 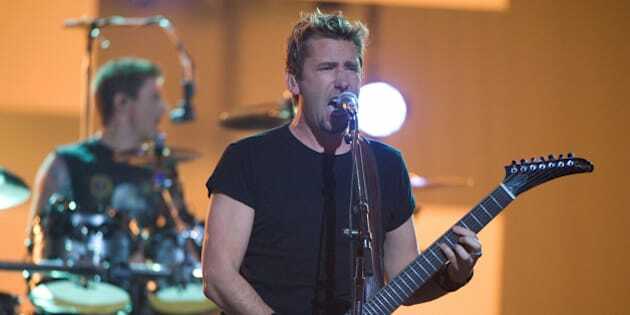 When you strip things like metaphor, meaning and substance out of your evaluation of a song, Nickelback probably could be considered the best at what they do.